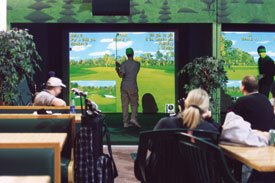 Golf simulators are great fun and ideal for improving your game. Come and play the courses that the pros play on! 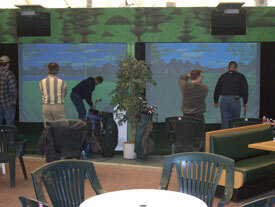 Come alone or get some buddies together, grab a beer, and enjoy an evening of fun in our licensed virtual golf area! Reservations are not required, but suggested from November 1 – March 31.